Our company has done the hard work of combining compliance, process management, training, operations, human resources, regulation and systems into a seamless package that tracks a loan all the way from origination through servicing. This is perfect if you are starting from zero. But it also helps you take your existing procedures and fill in any blanks you may have. 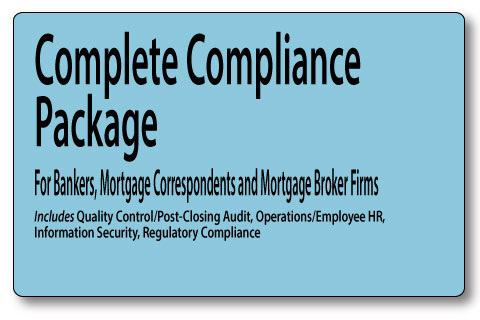 For the company that just needs to update or upgrade its Quality Control Plan, and Compliance elements, this package contains the full suite of Compliance related elements. 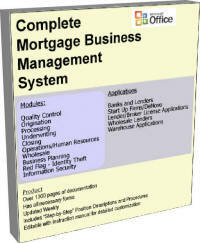 Includes Quality Control Module with Compliance Module, and the Red Flag/Identity Theft Plan Specific for Mortgage.